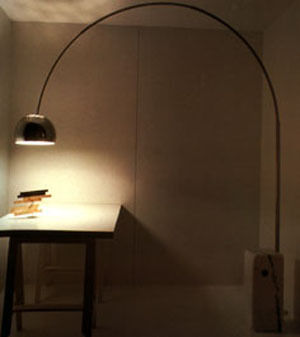 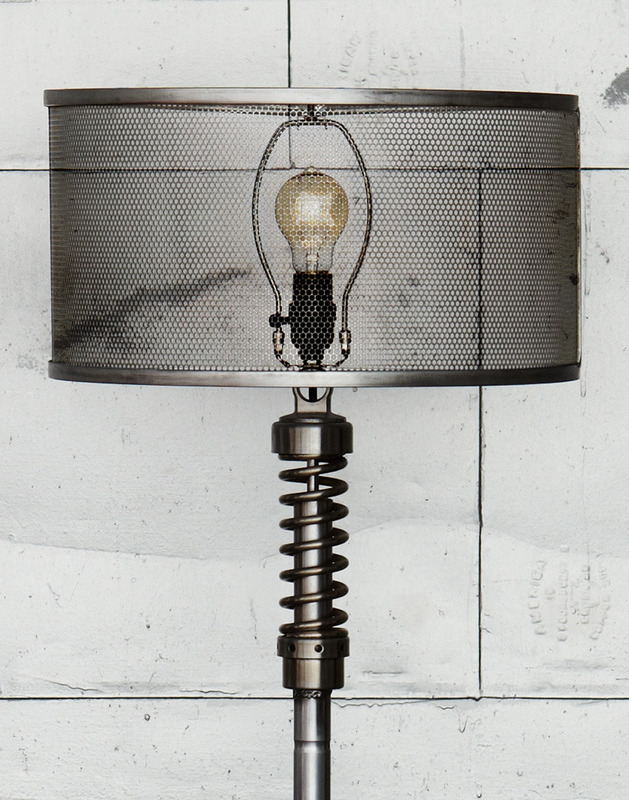 These recycled lamps are a tad bit different from the recycled lamps I usually write about. 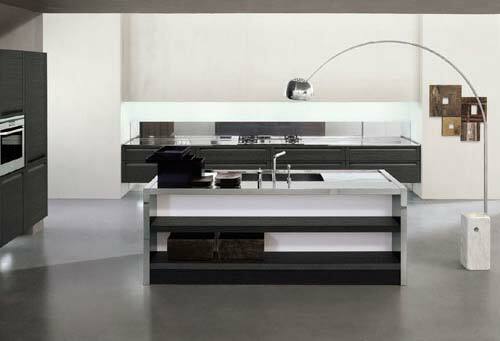 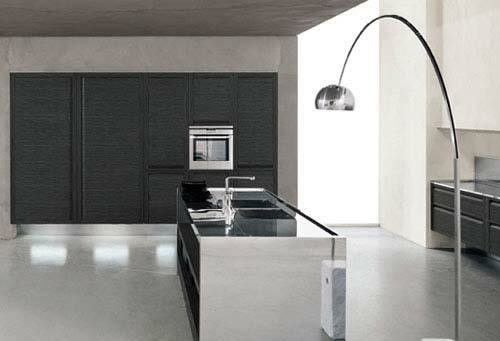 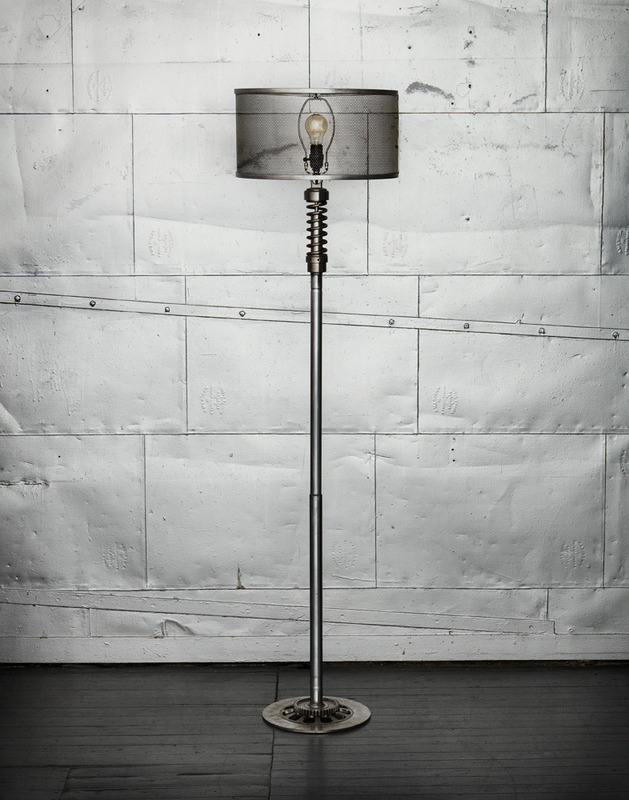 No recycled plastic bottles or coffee stirrers to be found from in the lighting from Classified Moto. 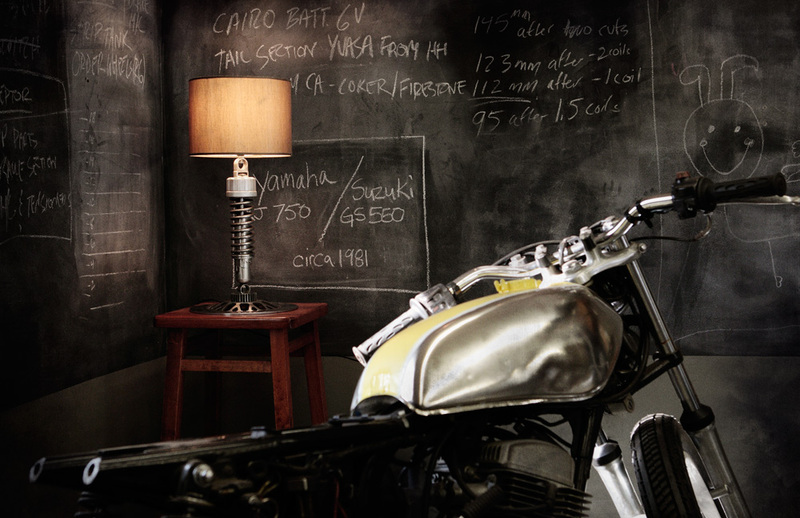 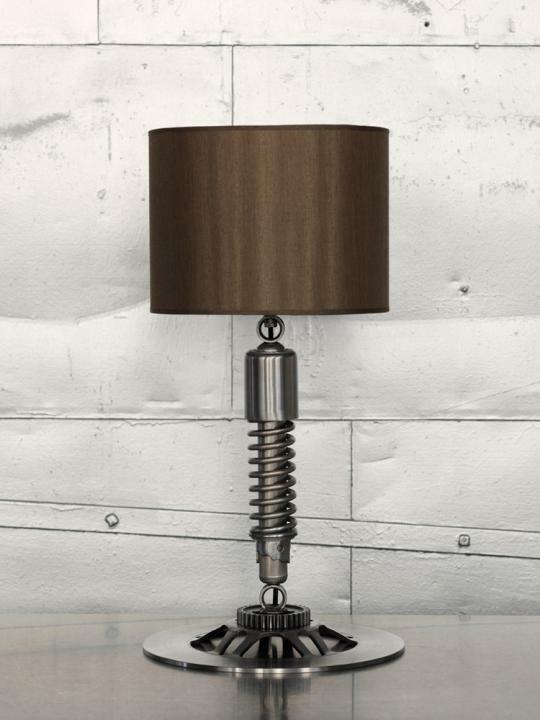 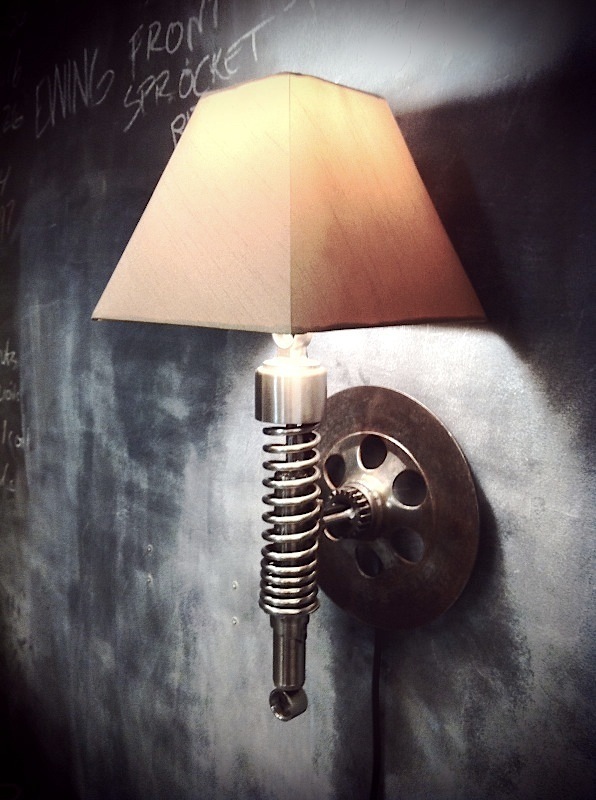 They use various parts like brake rotors, shocks and transmission gears from 70’s and 80’s era Japanese motor bikes in each hand-crafted lamp. 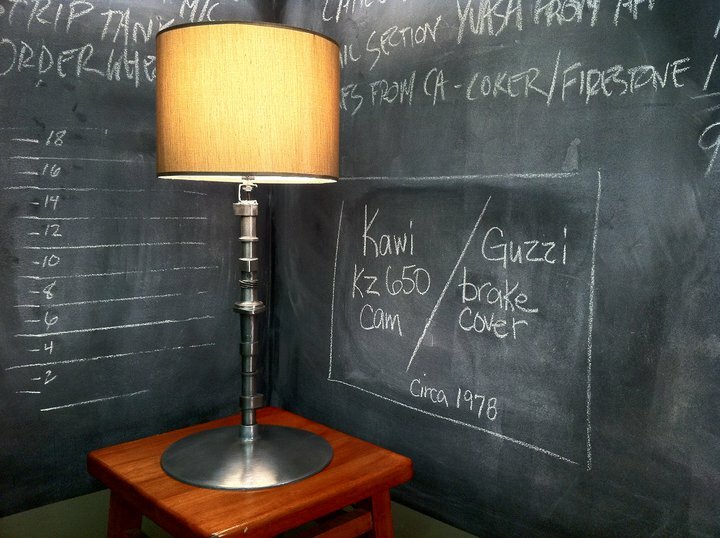 The lamp you buy may look different since Classified Moto says they make the upcycled lamps from parts on hand (but they try to consider special requests). 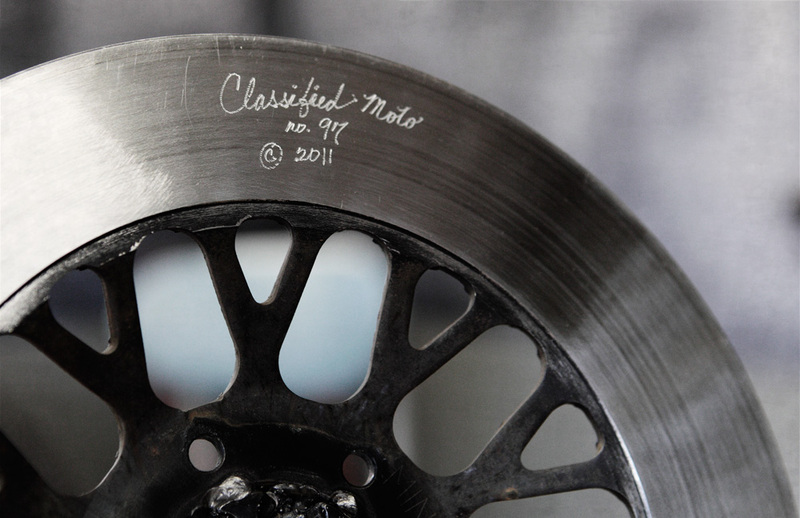 Check out the Classified Moto gallery and blog – they like to take pictures!